Sometimes the simplest drawing is the best. 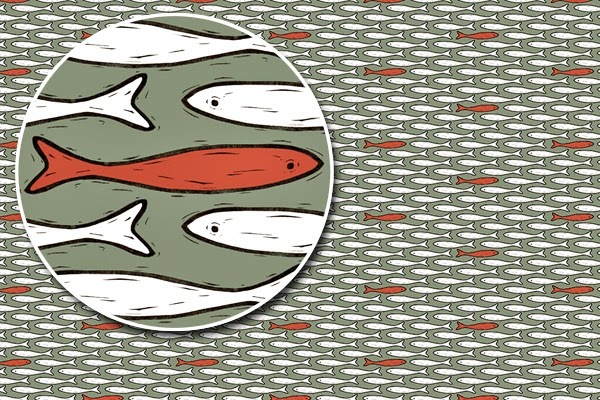 I was reminded of this yet again while working on the above minnow pattern. 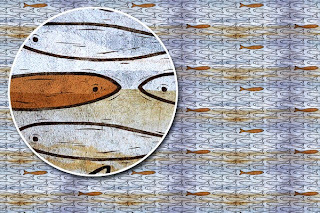 At first I sketched out all the details on this tiny fish — the fins, gills, lateral line, scales, etc. — but in the end I took a stylized, reductionist approach for the linocut. 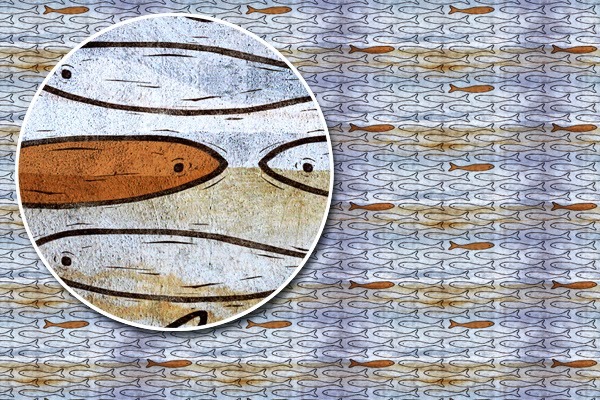 The minnow motif can be printed up to 6 inches wide at 300 ppi (which could make for dramatic upholstery fabric and/or pillows); but it can also be scaled down to a tiny print (think kids' clothing!). 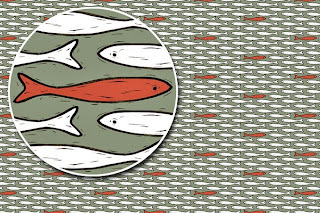 Colorways are limitless; pattern is multidirectional (works "upside down" too); line color can be changed; and each fish in the tile could be a different color. A grunge background (like the lower sample) adds another layer of interest and great texture. I've found that interior designers (and many clients) are immensely creative, so flexible designs like this allow everyone to get involved in developing the final look-and-feel!